The historic Golightly Educational Center was badly run down. An eight-block area had been cleared of existing buildings and replaced with 172 stacked townhouses. Spalding DeDecker (SD) was the Civil Engineering and Surveying Consultant for this residential development. SD provided boundary and topographic surveys of the project area. 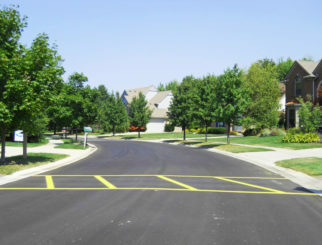 The boundary survey involved researching several older subdivisions to precisely retrace the appropriate boundary lines. The topographic survey combined aerial mapping and conventional survey field measurements. Complex underground utilities were mapped utilizing a combination of field measurements and existing record information from several sources. SD completed the site-civil construction permit drawings for governmental review and bidding purposes. 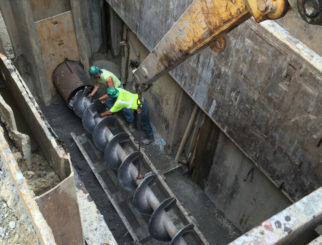 Through our experience with the City of Detroit agencies and familiarity with City requirements, SD was able to provide a comprehensive engineering plan. 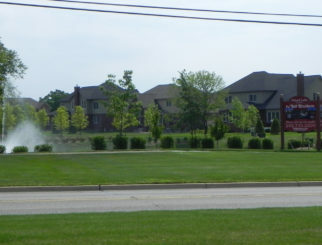 The site design included new water and sewer services for the proposed townhouses as well as new driveways and parking areas to serve the buildings.